The Mercatograph by H. Hughes & Son Ltd. 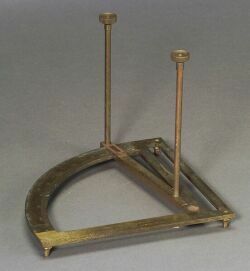 The Mercatograph by H. Hughes & Son Ltd., London, late 19th century, No. 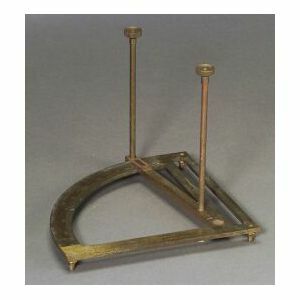 501, the brass horizontal quadrant with swinging arm and vernier, twin vertical rods and open section, radius 8 1/2 in.